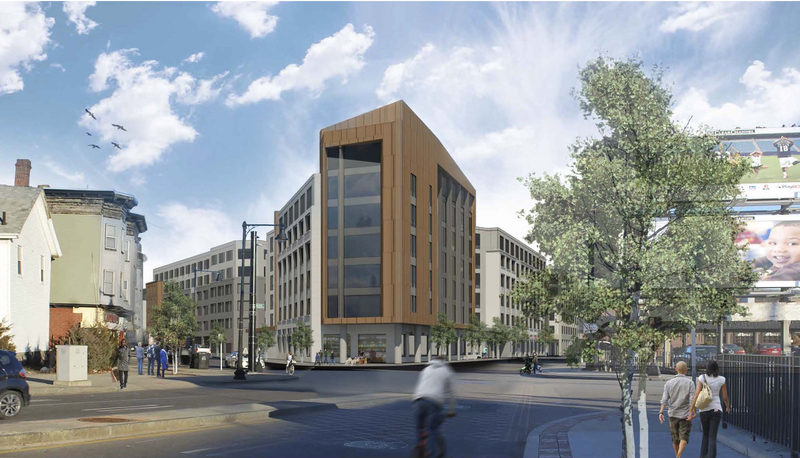 In October, the city approved the development of a 13-story, 12-unit condo tower to replace a four-story office building currently on the site. After local opposition to the proposed 255-foot spire and 32 stories, the height was cut to 175 feet. 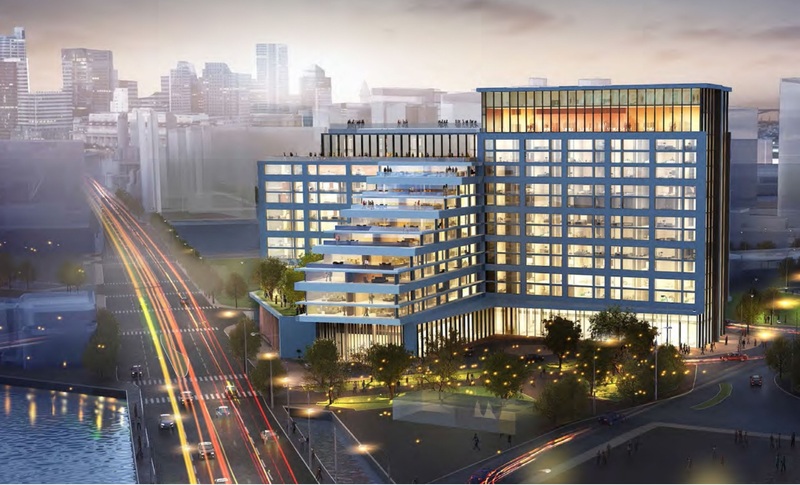 Slated to begin construction this spring, the building will “erupt” out of South Station. The first 26 floors will be high-end offices while the top 16 floors will be luxury condos. 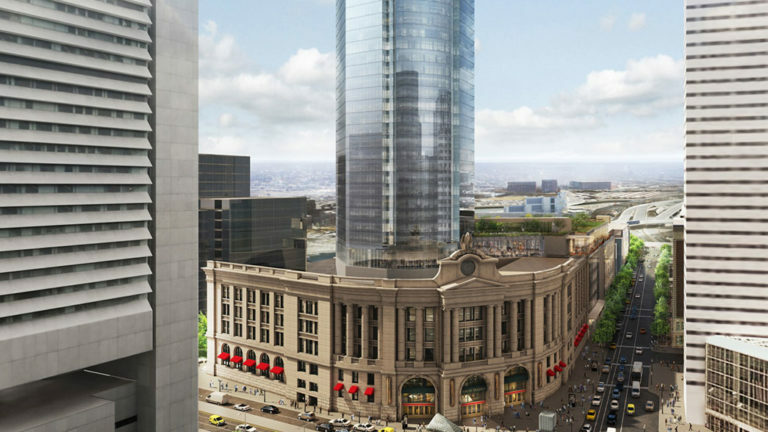 The tower will be the fourth tallest in Massachusetts and will also include a fifty-percent expansion of South Station’s bus wing. 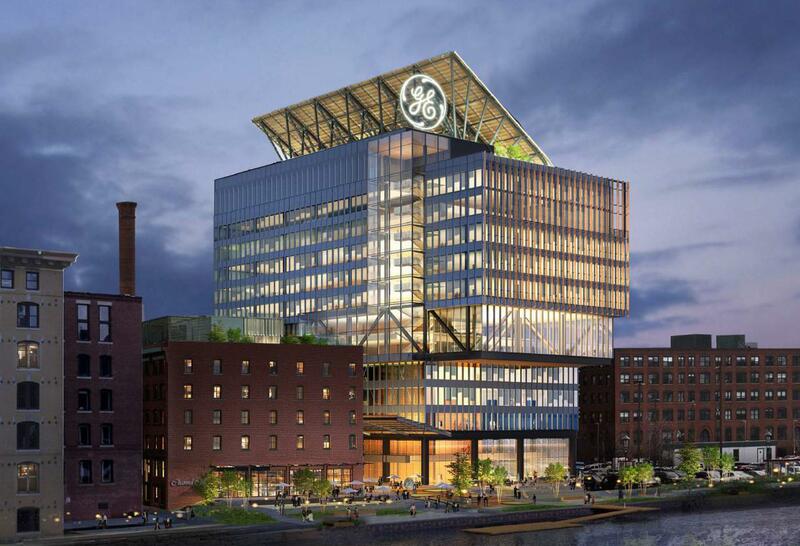 The construction of GE's $200 million headquarters in Fort Point will begin this year. The three building complex should be open in 2018. It will include a “maker space" for employees, tech startups, students and locals; a community work lounge; space for conclaves and presentations; laboratories and a cafeteria. 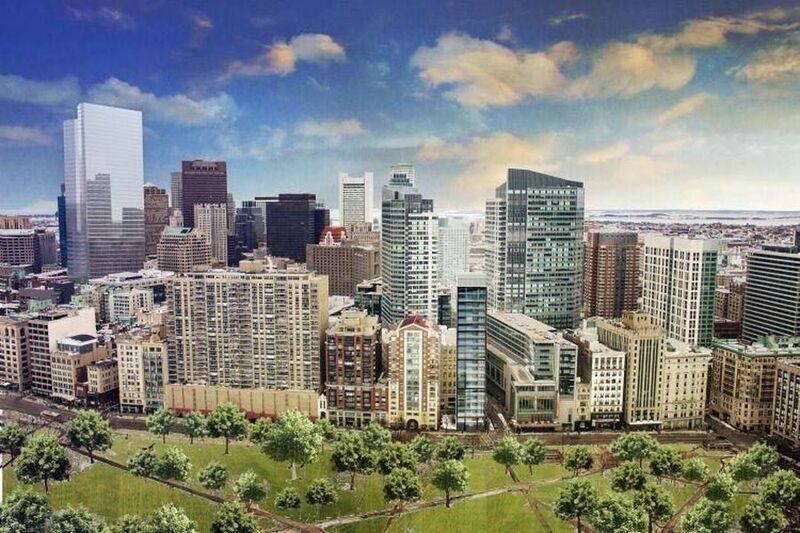 Boston approved the construction of the 15-story hotel in November. It will be two in one – a 245-room Hampton Inn and a 166 room Homewood Suites. The complex will features 19,3000 square feet of amenities including a fitness center, an indoor pool and a 500-seat restaurant. There will also be 3500 square feet of ground floor retail. Construction will take approximately two years. This huge development will total over 4000,000 square feet and over 10 buildings. It will include 362 apartments plus retail. Construction may begin in early summer. 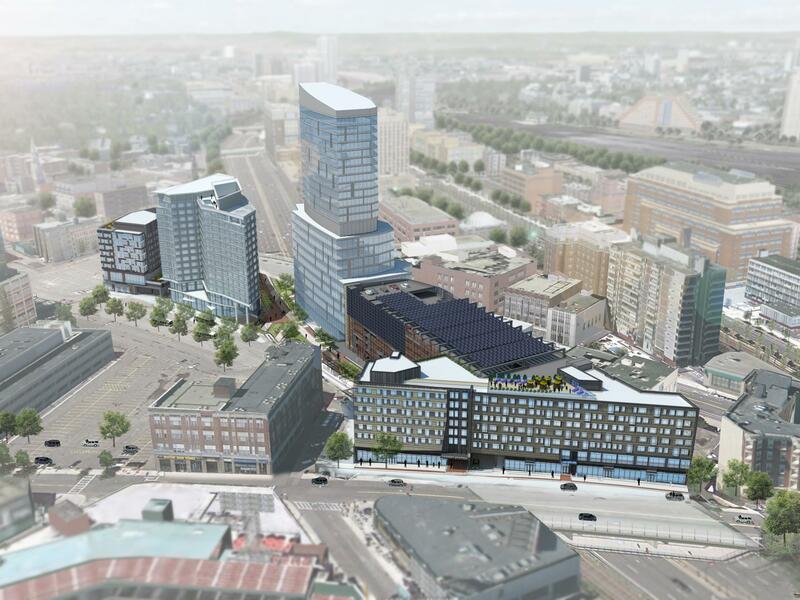 The Fenway Center is expected to feature around 550 housing units, 160,000 square feet of office space and 50,000 square feet of retail. Plus 1,290 parking spaces, a daycare center, bicycle storage and a bike share station. It already has a Yawkey commuter rail stop. This over 1 million square foot expansion is a redevelopment of the Arsenal Mall in Watertown. Slated to open in late 2018, the project will include 350,000 square feet of retail and entertainment including a 30,0000 square foot specialty grocery store. 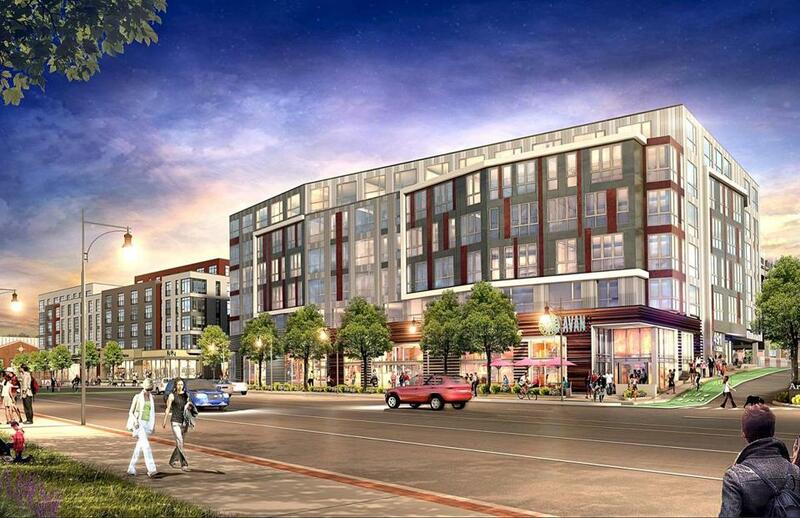 It will also include 428 market-rate apartments and 75 affordable ones.